Past & Curious: Madonna Flashback, Betty’s B’day & More! BBC SOUNDS: A long-lost '94 interview with Madonna ahead of the release of her Bedtime Stories launch. Madonna on fashion, "BUY? I don't go to BUY the clothes." Also noteworthy: The very sweet and intelligent interviewer can't help bringing up her mature age ... of 36. 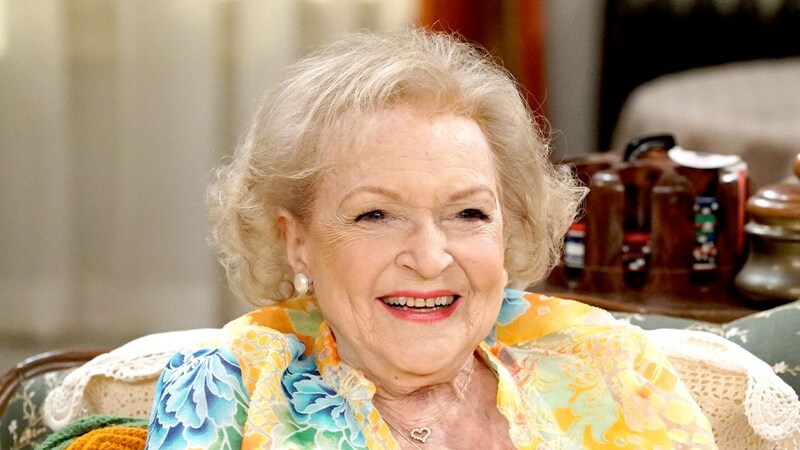 US WEEKLY: As she turns 97, Betty White is pictured running an errand, and says she's still waiting for Robert Redford, 82, to call. 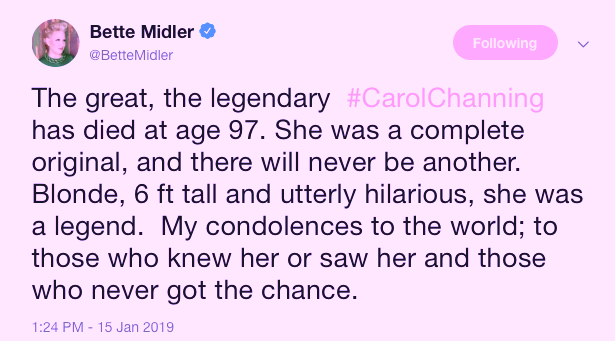 EW: Celebs remember the late, great Carol Channing, who died this week just shy of 98. 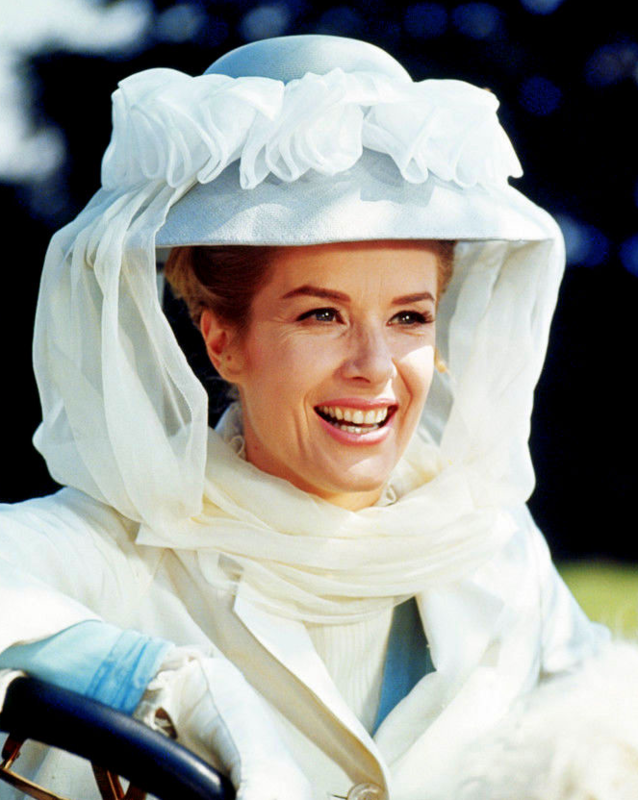 POSEIDON'S UNDERWORLD: An adoration of Sally Ann Howes, 88, who in the U.S. is remembered for Chitty Chitty Bang Bang (1968), but who's done much more! DO YOU REMEMBER? 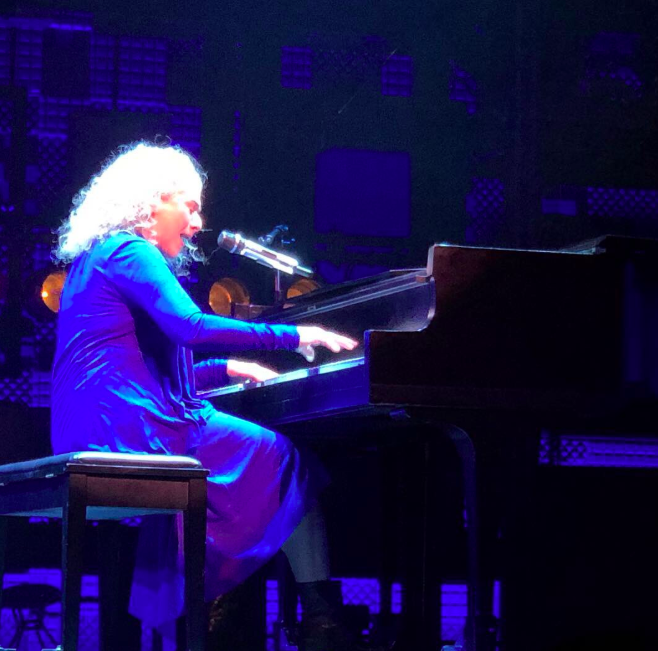 : Carole King, 76, made a wildly well-received appearance at Beautiful on the anniversary of the successful Broadway musical's debut.